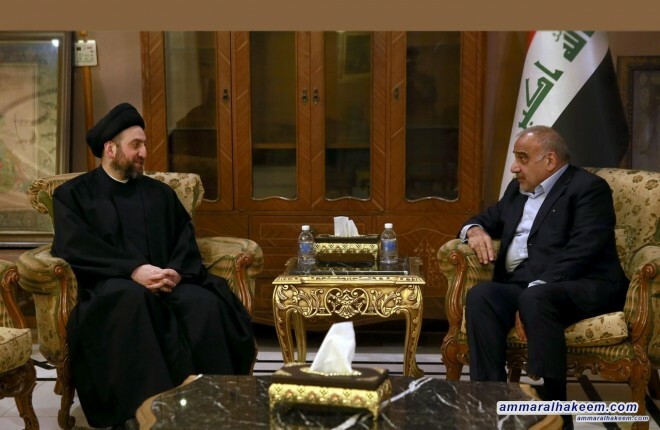 His eminence with Abdul-Mahdi discussed latest developments in the political situation, government cabinet, service projects and implementation of the government program. His eminence renewed his support to Mr. Abdul Mahdi government, stressed prioritizing, services and fighting corruption as urgent issues that need solutions and appropriate remedies, called for cooperation between the government and the Council of Representatives, particularly in laws with direct impact to people daily life and the structure of the political system of the Iraqi state. On societal level, his eminence called for community-based resolutions that invest the state of harmony, political calmness and recourse to political system seeking societal reconciliation capable of immunizing the society and holding everyone accountable.